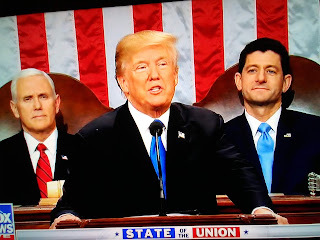 My knee jerk reaction is that Trump should give the SOTU anyway. But, Trump is a very shrewd operator. He must think it benefits him more to cancel it to put more bad press on Pelosi. Fox News reports President Trump announced on Twitter late Wednesday that he will deliver a "great" State of the Union address after the partial government shutdown is over, ending a tense day in Washington where Republicans criticized House Speaker Nancy Pelosi for blocking the president from giving the speech.